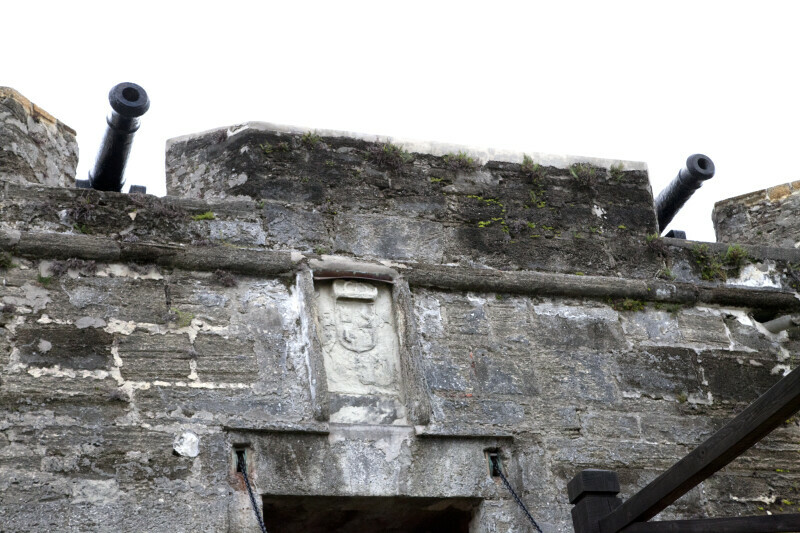 The coat of arms, over the main gate to the fort, is flanked by cannons. The cannons are on the gun deck of the fort, and pointing through embrasures. The fort is a National Monument, and is listed on the National Register of Historic Places.